Including mechanical and thermal cutting, stamping, drilling, milling and grinding. We perform metalworking on material either provided by the customer or using our own material – everything at the Client’s request. We have very precise premium machines for plasma cutting of metal sheets. 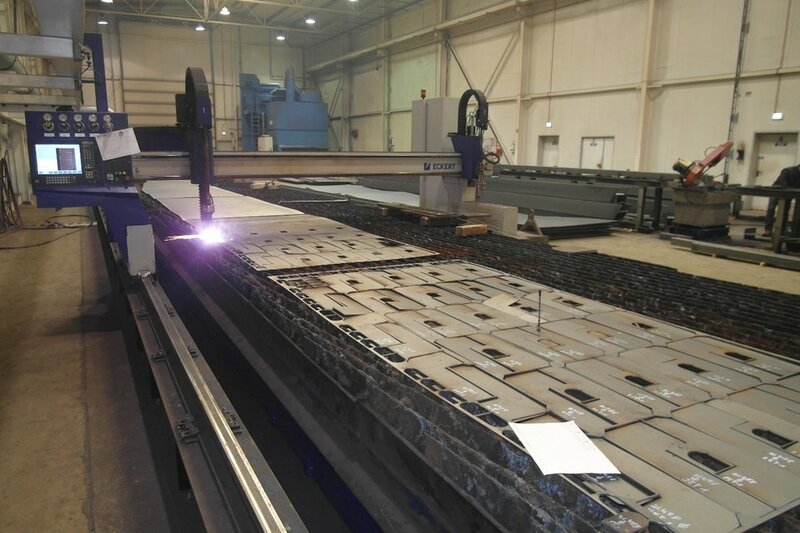 Cutting is carried out by using CNC technology (computer control system), in all three dimensions, which enables precise bevelling and chamfering of metal sheets with accuracy of ± 0,1 mm. Workpieces can be subjected to the further processing in terms of welding, milling, shot-blasting and corrosion protection.